Agricultural equipments products range offered by us includes spraying systems, weeding machines, inter cultivators, plant protection equipments, rice transplanters and electric brush cutters. 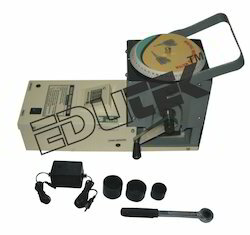 These equipments are manufactured using high grade raw materials with the help of high grade machines. The agricultural farm equipments offered by us can efficiently help the farmers for maintaining the fields and the crops in good condition. The use of these Agricultural Equipments can increase the productivity range since farming is well enhanced. 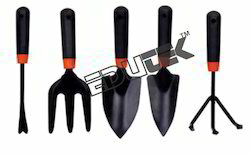 We also offer sprayer tools such as garden hand tools, brass knapsack sprayer that are extensively used in agriculture. These sprayer tools are used to eradicate pests and weeds from the crop fields and therefore, result in better yield. 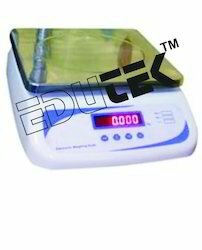 We offer superior quality Digital Weighing Scales that are manufactured by us using premium quality raw materials that offers strong and durable structure along with anti-abrasive and anti corrosive properties. Size : 300x170x260 mm. approx. Specifications: Name Axial Flow Vegetable Seed Extractor Material Available in Fully stainless Steel model mild steel model Driving Power Electric Motor Out put Depends upon size of vegetable & seeds. (i) Designed for fast application to any type of 15-80 HP tractor with three point linkage. (ii) The modern light and study tubular frame. (iii) The varying working inclinations make it possible to cut hedges, clean ditches and channels etc. (iv) Cuts anything without flooding.